Which recruit is going to come and be the missing piece to the puzzle of becoming an elite team? 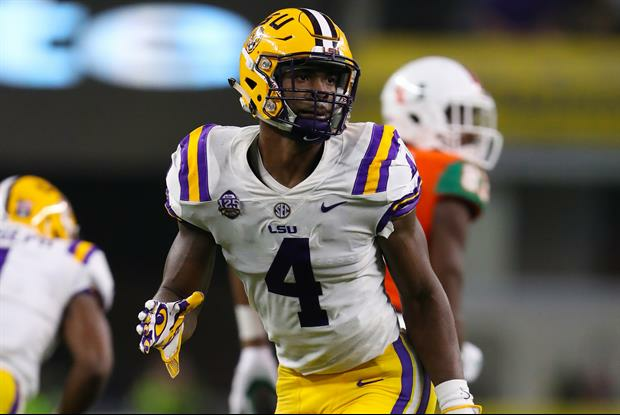 Current LSU cornerback commit Maurice Hampton saw the tweet and replied to it by tagging major LSU targets Devonta Lee, Ishmael Sopsher, and John Emery in his reply. This team next year will be very very good!! Hope we can add about 2 or 3 more elite DLman, another Elite OT, an elite LB and an Elite QB or Saftey or WR and RB. When the game changer speaks, tiger nation listens. you know, i agree with this... with him, i def think we are a 1 loss team, i think it changed alot of what aranda wanted to do. That’s an awesome message from Chaisson! We can complain about a lot of things. However, only one thing is holding this program back, lack of offensive efficiency and execution. Two head coaches. One couldn't keep his hands off the offense, and the other hires someone who can't run an offense. Until we have a head coach that can hire a legit offensive coordinator AND allow them free reign to run their scheme, LSU will continue to be bottom tier on offense. Correct me if I am wrong, but no boss, or head coach for that matter, gives complete control of the organization to an underling. I’d rather Kendall Briles come to LSU. #1 offense 2 years in a row with 2 & 3 star recruits. Hopefully an entire O-Line Klavon. Needs to be plural, as in "recruits"? Gotta get a QB who's a difference-maker. A one-dimensional QB isn't gonna win any championships. Burrow didn't keep the ball on the RPO. He looked timid. Geaux is a good qb. Problem is he can’t pass if he’s on his back. If you rewatch our two losses beaux was running for his life. How bout a couple of bada#@ offensive linemen!!! Start in the trenches. He forgot to list the recruits at offensive coordinator. Why not all 3? Also having Chaisson back himself will be huge. I think he meant "recruits", as it will take more than 1 to make LSU a very elite program. They are already a top 10 program, but to get into the top 5, and stay there, they need help.